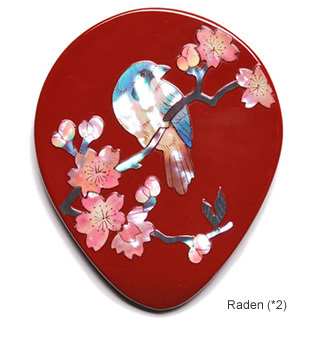 Lacquer, from the sap from the Chinese lacquer tree, is not only a natural coating but also acts as an adhesive. 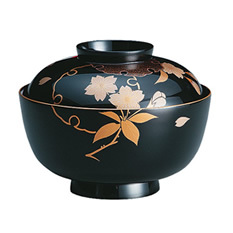 The oldest existing lacquer products date back some 6,500 years ago to the Jomon period. 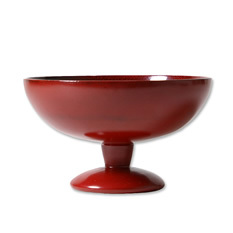 Interest in this soft lacquer that brings about a deep gloss has meant it has had a great influence on Japanese art since then. 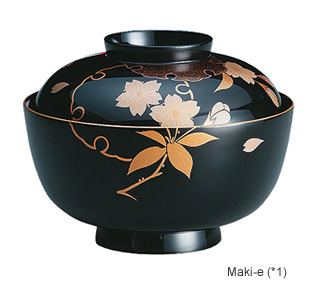 Traditional decorative techniques used in lacquerware such as Maki-e (*1), Raden (*2) and Chinkin gold-inlaid laquerware (*3) are essential for the existence of lacquer. In addition, Japanese lacquer products were exported overseas, and were favored by royalty and the aristocracy in Europe such as Maria Theresa and her daughter Marie Antoinette. The traditions and skills have been passed down today, with lacquerware production areas throughout the country such as Echizen lacquerware, Joboji lacquerware and Kagawa lacquerware. *1　Painting with lacquer on a lacquered surface and then fixing a sprinkled metal powder such as gold on top of that. 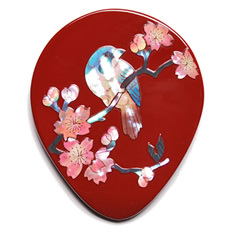 *2　Pearly shells are polished, cut up finely and then used to decorate the lacquerware's surface. The "Ra" means shell and the "Den" means inlay. 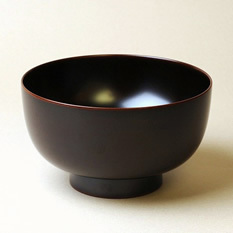 *3　A design is carved on the lacquerware's surface using a chisel. Gold abutments and gold powder are inserted in the created grooves, making this a skill that can create either a picture or a pattern. Although lacquerware has a troublesome image when it comes to caring for it, this is not true at all. If you don't leave it soaked in water it is no problem, just like washing regular items. However, since hot water from the dishwasher may deform the shape of the item, wash it gently by hand. 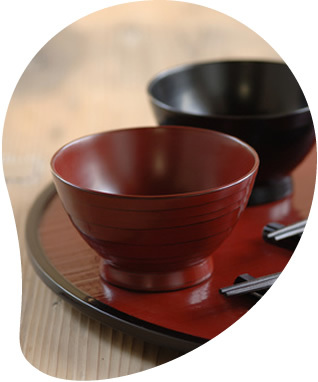 After washing thoroughly wipe of water and store out of direct sunlight.If you insist on high-quality lacquerware, if you take care when handling it, it is not impossible for it to be passed on from parent to child, generation to generation. Not only can it be used for celebrations, this lacquerware can also be used to brighten up your table in every day life, making dinner time all the more pleasant.